The BikeSafe team would like to thank Jesse Lehman and Zach Weiner for their help in making sure that kids in Miami-Dade County have bicycle helmets. Their donation to the BikeSafe Program will be used to purchase bike helmets for kids in need. 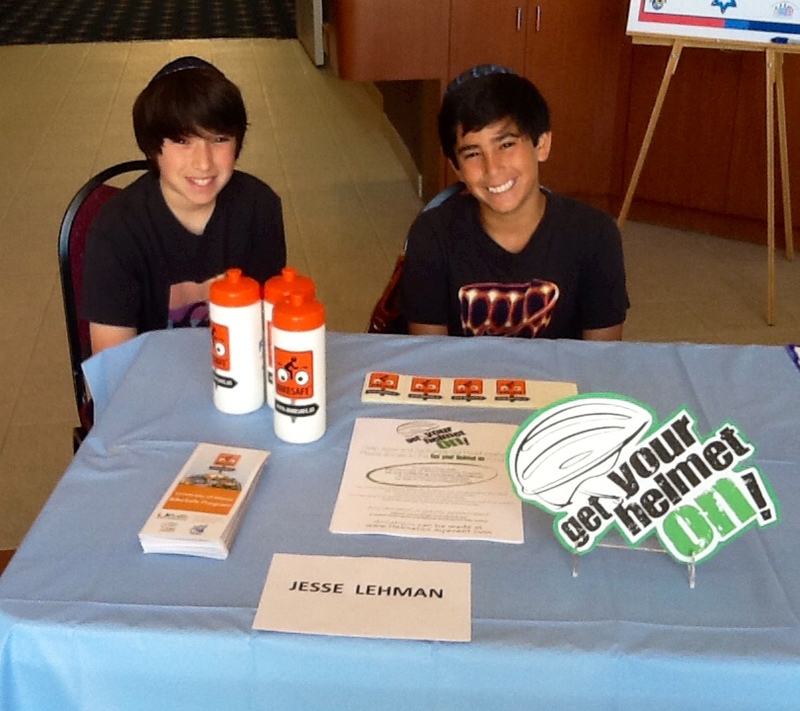 As Jesse completes his Bar Mitzvah, he starts the next phase of his life knowing that he has the power to make a positive impact in our world. Thank you Jesse and Zach for helping to keep kids in Miami-Dade County safe! When you login first time using a Social Login button, we collect your social account's public profile information, based on your privacy settings. We also receive your email address to automatically create an account for you in our website. I allow this site to send me information and notifications about new comments and replies to my email address (you can unsubscribe at any time). For questions about the KiDZ Neuroscience Center, please call 305-243-4937. YouTube blocked at your school? View our training videos on Wistia. After you have watched the videos, please complete the training quiz below. Let us know how Walk to School Day could benefit your school! After you have watched the videos, please complete the four question Training Submission Form below to receive a curriculum toolkit.